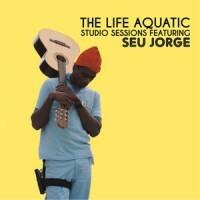 While The Life Aquatic with Steve Zissou movie got mixed reviews, the soundtrack was universally hailed as excellent. The standout was Jorge, who not only had a role as an actor but also played a handful of Bowie songs solo with acoustic guitar, singing them in Portuguese ­ it was a perfect combination of beautiful songs laid bare with a bit of exotic Brazilian spice to add fresh flavour. This collection features the whole of that Bowie session, which means Jorge's six songs from the soundtrack, seven other Bowie tunes and one playful Jorge original entitled "Team Zissou." Even though 2005 saw the release of his domestic debut 'Cru' (which mostly featured his own songs and a band), Jorge found himself touring the US in front of large crowds of 20-somethings who patiently waited for those Bowie songs. This album obviously gives the people what they want, and the good news is that the other versions are just as good as the ones that are on the original soundtrack.